This week's folklore photo is of the former Gosine's Store, in Portugal Cove- St. Philip's. Katie Harvey, one of our youth speakers at our upcoming Youth Heritage Forum, collected the photo during her work as heritage researcher for the town. "This is a photograph of Gosine's Grocery Store which was located at 25 Hardings Hill in the 1950s. It was a two storey grocery store. The house that is in its location now is brand new, so unfortunately there is no trace of this store left." 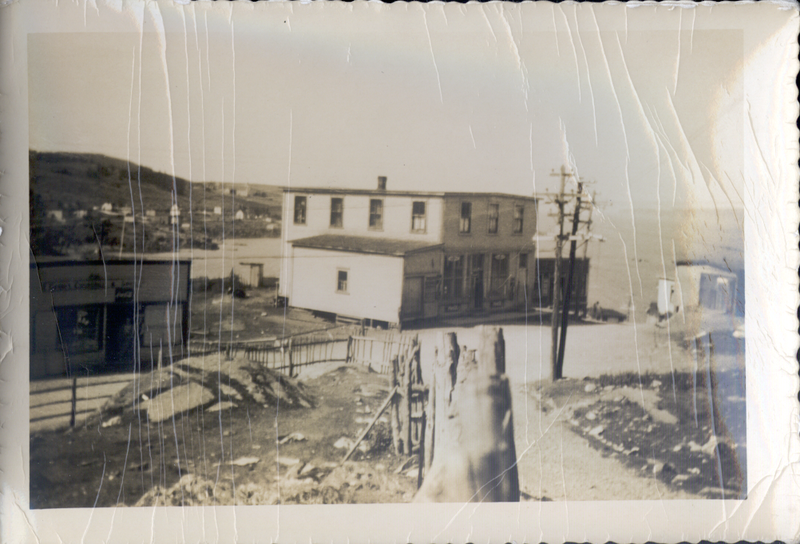 The photo will be part of a collection of photographs and interviews from Portugal Cove- St. Philips, soon to be added to Memorial University's Digital Archives Initiative.